Outraged and heartbroken – that sums up the feelings of many who could be barred from Israel for the "crime" of peacefully opposing its government's policies. The Knesset, Israel's legislative body, recently passed a new law, dubbed the "Entry Law." If enacted, the law would deny entry into the State of Israel to any non-Israeli individual or individuals affiliated with non-Israeli organizations, who have publicly called for boycotting either Israel, Israeli state institutions, or West Bank settlements. 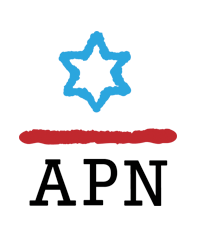 While Americans for Peace Now (APN) – the American sister organization of Shalom Achshav, Israel's preeminent peace movement – staunchly opposes boycotting Israel or Israeli institutions, we do call for boycotting West Bank settlements. We see this as a legitimate way to express our opposition to the settlements and to the occupation of the West Bank. The "Entry Law" is a stain on Israeli democracy and betrays the democratic principles upon which Israel was established. Sign and stand against the "Entry Law" and support activists and organizations who care about the country and choose to peacefully boycott West Bank settlements.